I have mentioned several times that I started my writing career by writing short stories. And then features. It was only much later that I started writing books. When I started writing short stories, I would sometimes get a story idea through a title, that would just drop into my head. Or maybe an image of the character. I never found it difficult to weave a story of 1200 to 1500 words around that title. It may come across as crazy, but I have written several stories around catchy titles. I don’t know how it used to work at that time, but whenever the title would jump into my head, so would the main character, as would the different strains of the story, like the secondary characters and the way the story line would move. I have a similar approach whenever I write my books. No, I would never dare to write an entire book based on just a catchy title. Because for a novel, I definitely need my plot points in place, a rough outline with the beginning, middle and an ending, very clear in my mind. But, as I can’t give up my love for titles, I use the title method to give my individual chapters nice titles. Each individual chapter must have a title. For me the title works as an inspiration on how to handle that particular scene or chapter. I know it sounds crazy but that is the way my brain works. What about you all? Have you ever written a short story based on a title that just dropped into your head? What’s your take on chapter titles? Today, I will keep it short and simple. A few writing quotes and what I think about them. My takes on these quotes. If I were to treat my secondary characters like the book is about them, then my book would be around 1000 pages. Sometimes I write the different scenes and then link them together, so you can say that only when I read, then I know what I have written. My writing usually does scare me, especially my first drafts. After writing for so long, I still don’t know the rules for writing. Nowadays, I don’t talk, I just write. But talking is fun and much easier. There are days when I don’t feel like writing, but I force myself to write. With or without the muse, the writing party goes on. Writing is sometimes easy; the words flow in a torrential downpour, sometimes they trickle drop by drop. Either ways we just have to write. Which is your favourite writing quote? And what’s your take on that? Most of the time we writers worry about creating strong protagonists who readers will remember long after they have put the book down. Sometimes we tend to forget that to create a strong and powerful antagonist is equally vital. The Antagonist single handedly drives the conflict. Creates tension. Is responsible for creating obstacles in our character’s life, for dumping problems and anxieties into their lives. The protagonist and antagonist are two sides of the same coin. Without them our manuscript is incomplete. Having a strong antagonist is as important as having a strong protagonist. While working on my last WIP, I realized that I had paid a lot of attention to my protagonist, but, my antagonist came across as a cardboard cutout. No wonder the conflict in my story had become watery. During the several rewrites I paid attention to the antagonist. I made him smarter and resourceful. I gave him a few scenes with the protagonist. Played them against each other a couple of times. As the antagonist was the head-master of the school where the protagonist studied, it was easy to have the face-off scenes. I wrote a few scenes where the both the protagonist and the antagonist had a few scenes where they kept the readers in suspense. Secrets propel a story and I used the power of secrets in my storytelling. I tried my best to keep the readers guessing till the last minute/word as to whether the protagonist or the antagonist would win the face-off. For an antagonist to stand tall against the protagonist we must give them a number of strengths that they can use as an advantage over the protagonist. Similarly, when we give the antagonist weaknesses, it’s these traits that the protagonist can use to their advantage. I loved Harry Potter as much as I disliked Voldemort. Both were equally powerful forces and their clashes were page turners. They were two formidable forces with an equal number of strengths and weaknesses. I wanted Potter to kill Voldemort come what may. Is the antagonist on top of your character development? Do you believe that powerful antagonists drive the conflict better? What are the things you all are doing to create powerful antagonists? Who is your all time favourite antagonist in a book/movie? We all would love to know. With a cousin’s wedding last week and entertaining guests at home, I had completely forgotten about the IWSG post for August. When I visited Ninja Captain Alex J Cavanaugh’s blog on Monday, his reminder jolted my memory. Trust Super Alex (once again Super A proves his omniscience) to come to our help. He is simply adorable. 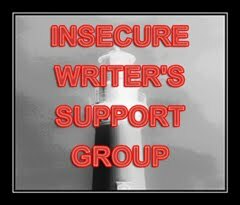 For those who are unaware of IWSG, I want to tell you that IWSG is an online group for writers. We post on the first Wednesday of every month. This awesome and inspiring group was started by Alex Cavanaugh – Author of Amazon bestsellers: CassaStar, CassaStorm, CassaFire and Dragon of the Stars. In our IWSG posts, we discuss everything related to our writing: from the taxing first draft to the breezy revisions, from the heart-breaking query process to the jubiliation of finishing the 100th draft. In between venting out all our writing frustrations, anxieties and insecurities, we also support and encourage each other. 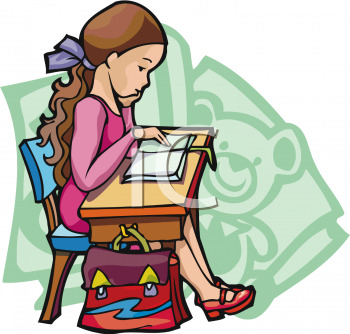 Don’t forget to check out the IWSG website for awesome writing tips. This month my insecurity is being accused of copying another writer. The reason this insecurity surfaced in my mind is, because a few years back, I had started a Middle Grade trilogy. 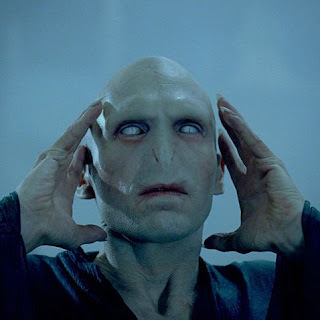 When I narrated the concept to a writing friend, she immediately told me that the concept of souls in my story reminded her of the Horcruxes in Potter. Though this conversation took place during a FB chat, my over-excited brain immediately closed its doors to this story. I abandoned that story and moved on to other ones. But, from last week my mind has often strayed to that story. I am quite keen to read whatever I have written and see it with new eyes. And also make sure that there are no resemblances to the horcruxes in my story in any way. It’s not just me, but deep down every writer fears being accused of copying another writer. Infact, it’s my biggest fear. I would love it if someone compares my work to another writer in a favourable way, but when the comparision is anything but favourable it can be quite disheartening. Is this one of your insecurities too? How do you avoid falling into this trap? Aren’t comparisions with other writers inevitable? Labels: IWSG. Alex Cavanaugh. Horcruxes. Potter.